No one knows what will happen after the Thursday 23 June when we vote to remain or leave the European Union, writes senior gold bullion dealer, Oliver Temple. The UK’s economy may wobble with either decision – or not. It’s all ‘ifs’ and ‘buts’. With so many ‘facts’ being bandied around, it’s hard to work out what’s true and what isn’t. What we do know is that gold has been performing well recently. Yes, there has been around a 20% increase in the gold price since the start of the year. Yes, in some cases gold funds have doubled. Yes, some analysts believed the precious metal would slip after rallying at the beginning of the year. It did not. Nervous investors are seemingly turning to the yellow metal. Gold is often seen as a way of protecting money by some in times of economic uncertainty. Is it time for gold? For many investors ‘yes’ is the answer. Should they then be paving all their investment portfolios with gold? Surprisingly as a bullion dealer – we’re one of the oldest in the UK – we say ‘no’. Like any other commodity, prices do go up and down. 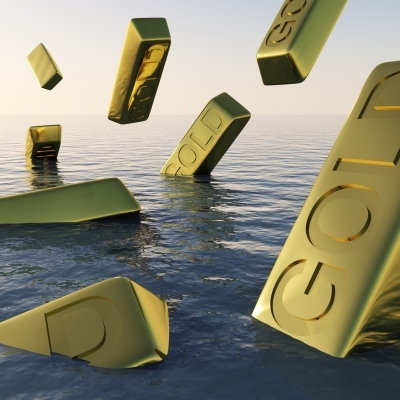 We would advise investors that gold should make up no more than 15% of an investment portfolio. Do investors need to be rich to buy gold? No. In fact, we offer a wide range of gold coins and bars to match all types of budgets. We can advise investors on what’s right for them. We all have an important decision to make soon with our place at Europe’s table. While there is uncertainty over how our economy will perform with either result, gold is likely to be seen as attractive by investors. And despite all the current uncertainty, there’s one thing that is looking set to repeat history – the demand for gold in times of financial instability.